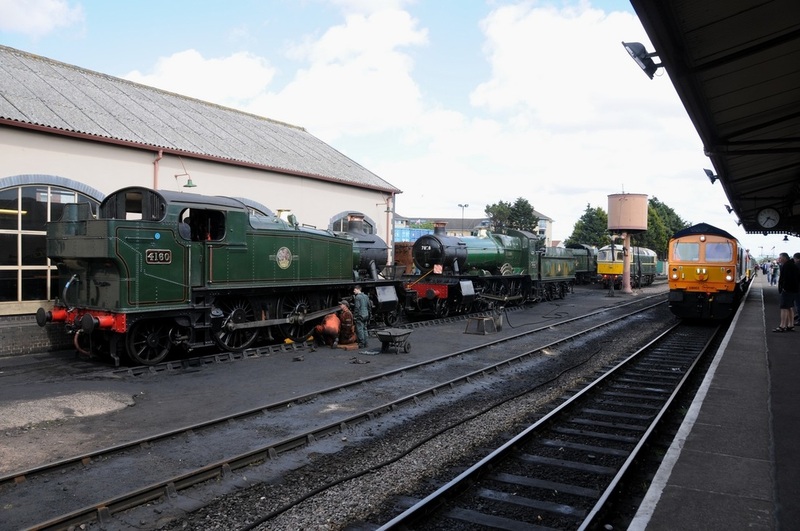 A day trip to attend the second day of the "Mixed Traction Gala" on the West Somerset Railway. 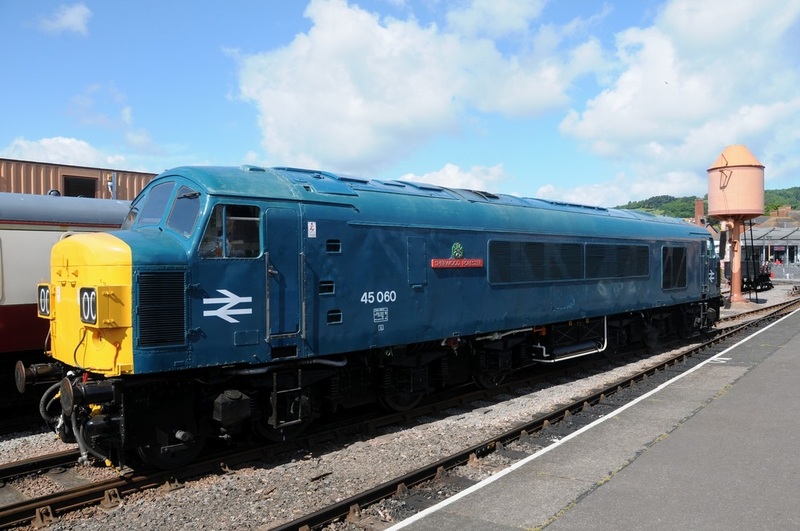 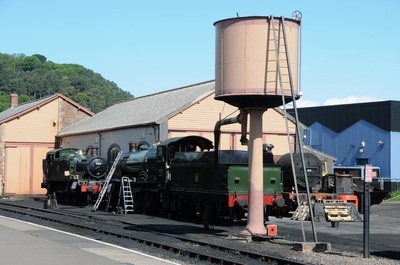 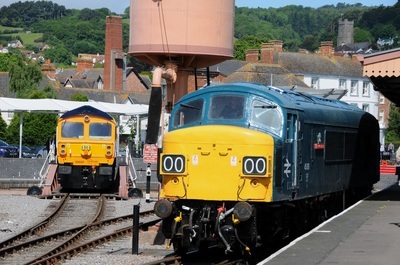 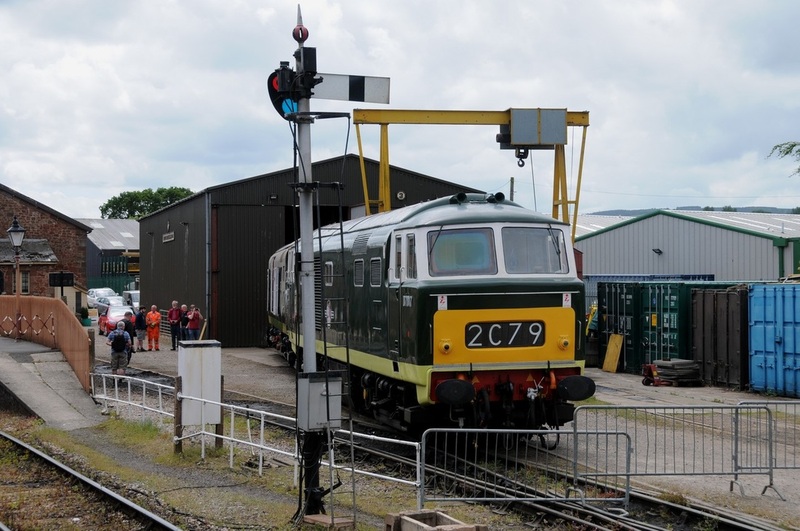 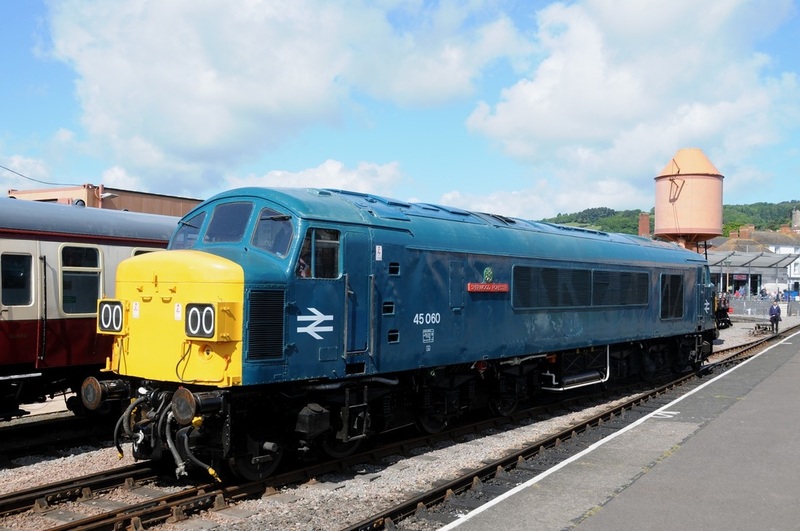 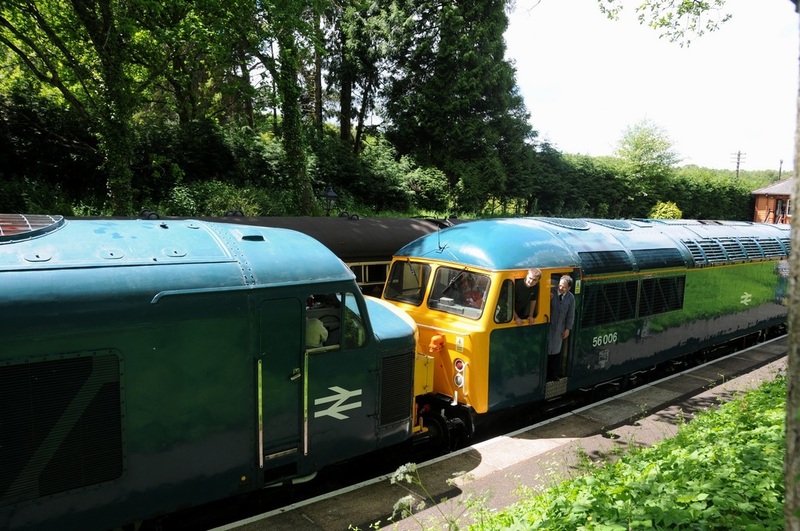 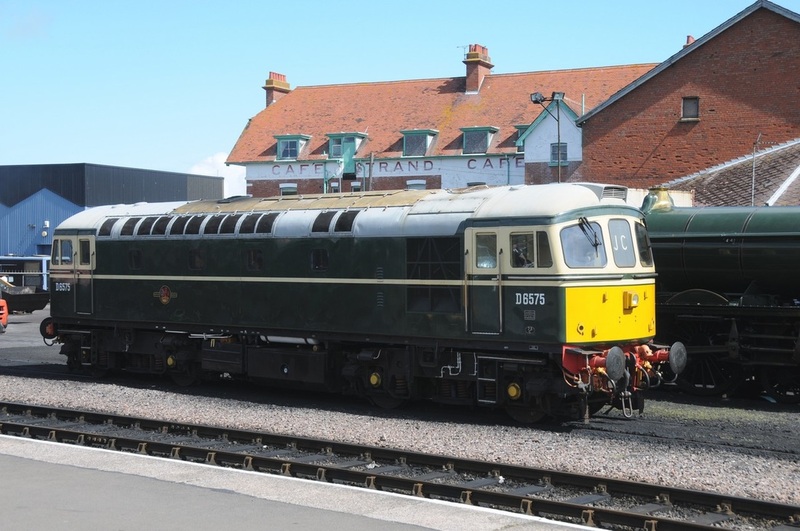 Visiting diesel locomotives included Class 45 1Co-Co1 45060 (D100) 'SHERWOOD FORESTER', Class 56 Co-Co 56006 and Class 59 Co-Co 59003 'YEOMAN HIGHLANDER'. The General Motors Class 59 was built in 1985 and in 1997 was transferred to Germany and worked there carrying the No.259003. 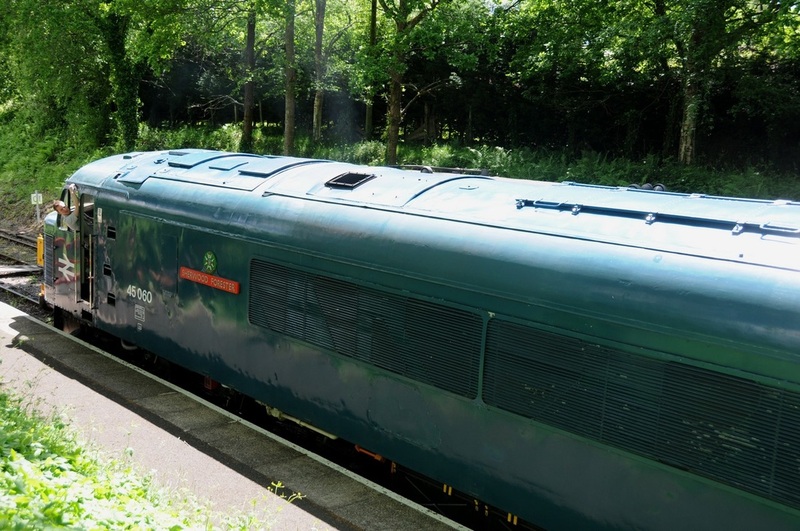 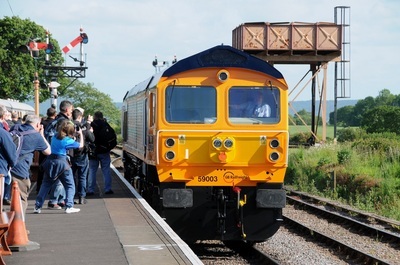 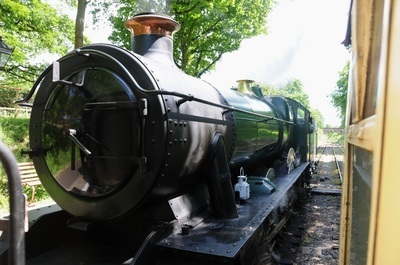 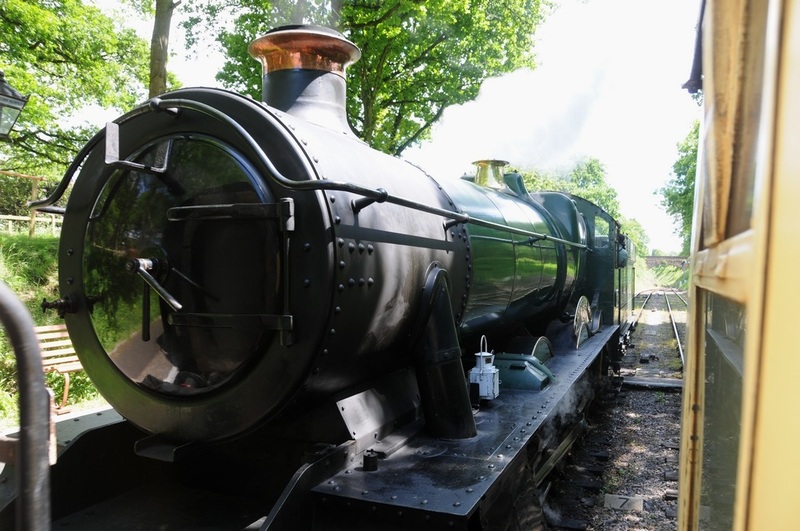 In August last year, after seventeen years abroad, it was sold to GBRf and repatriated back to the United Kingdom. 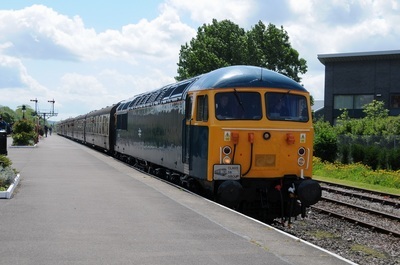 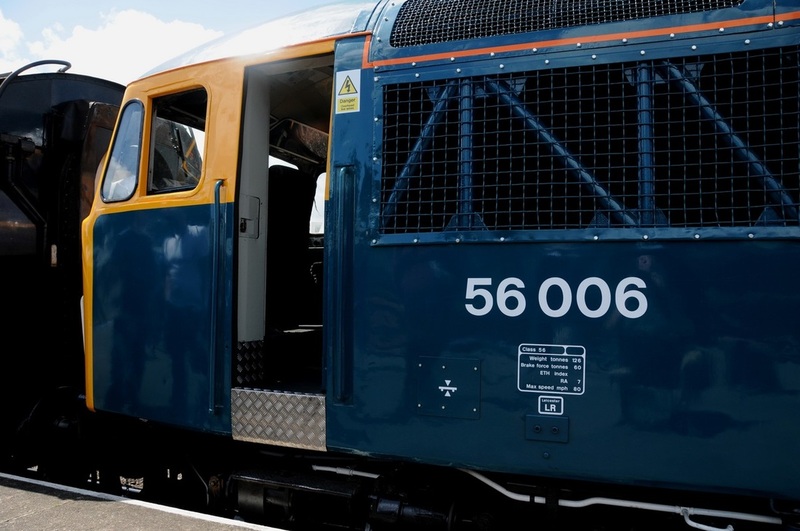 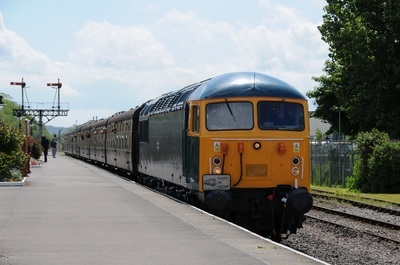 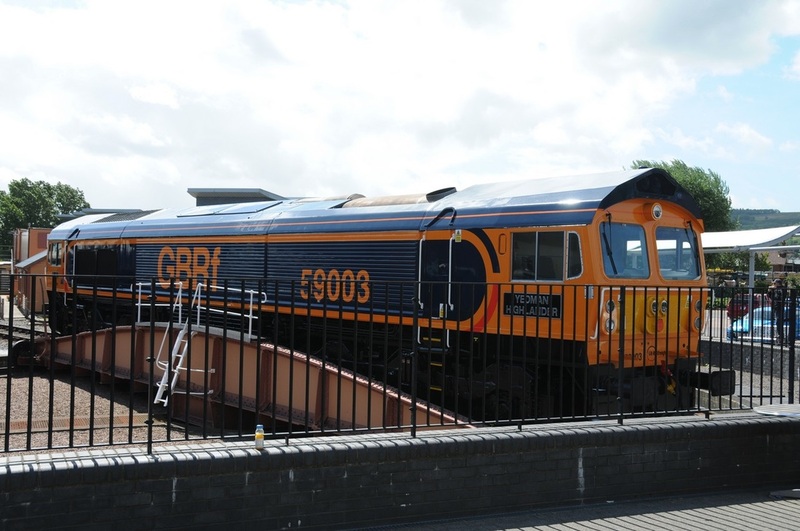 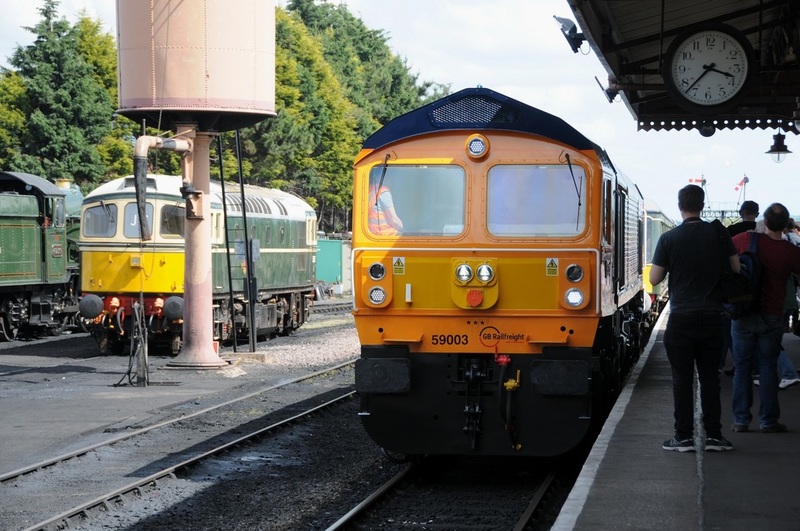 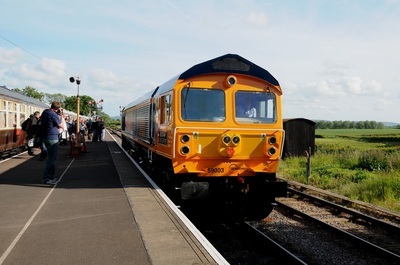 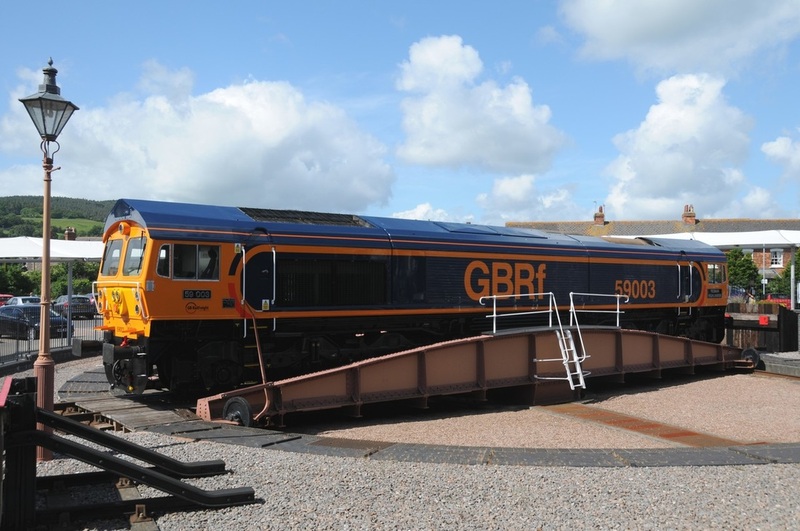 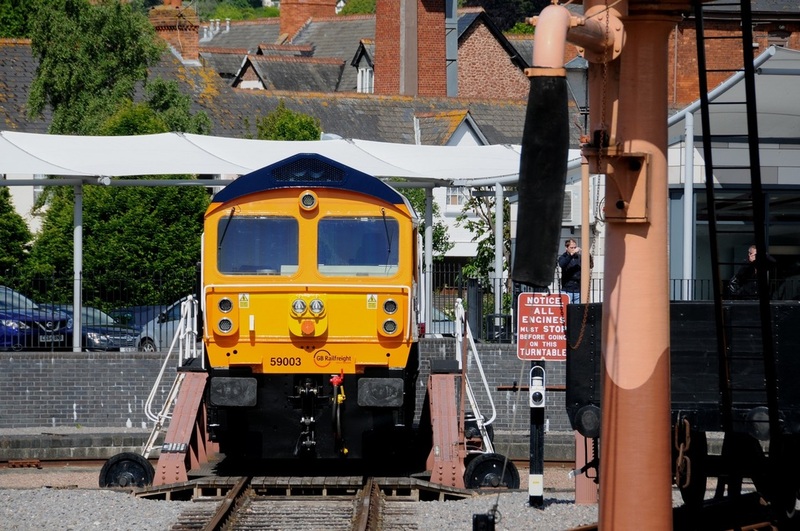 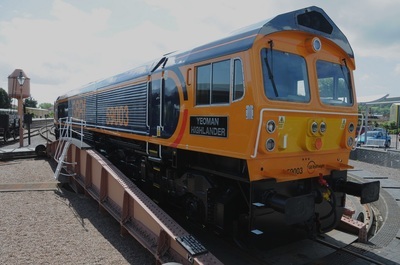 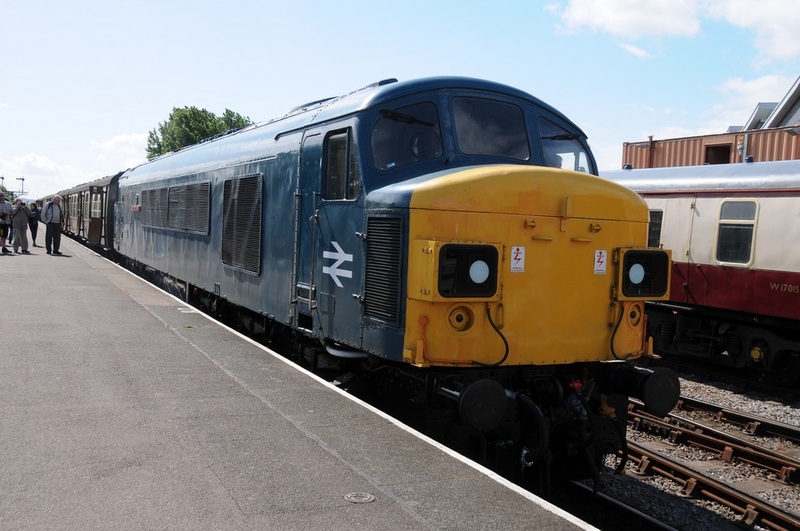 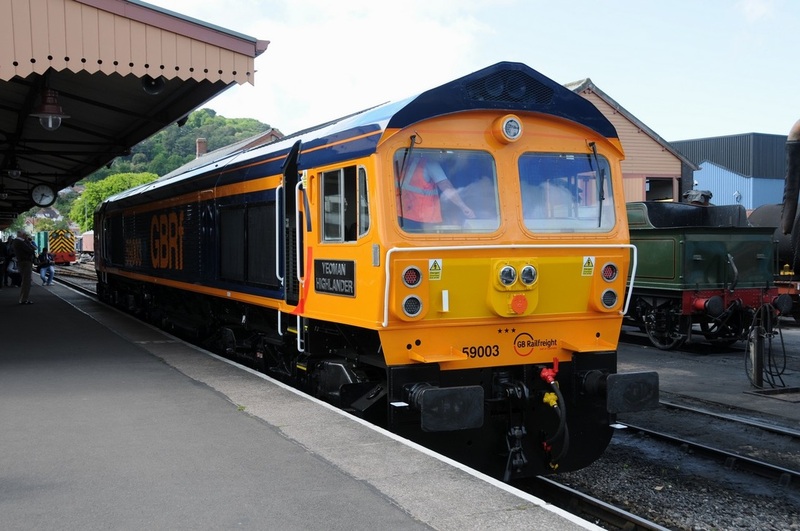 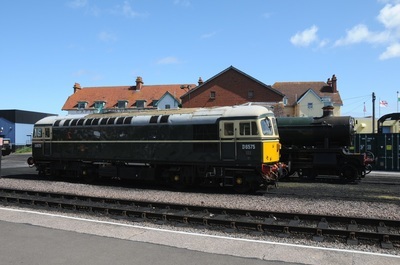 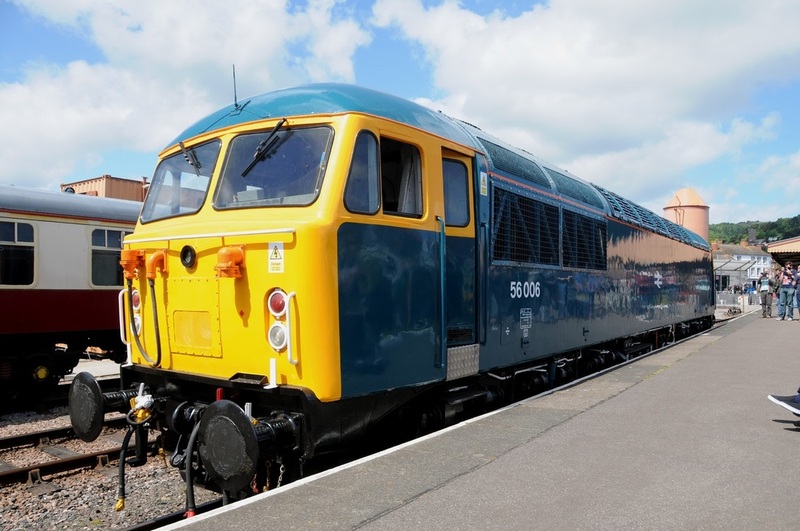 Now after attention at Eastleigh Works and being reliveried in the latest GBRf colours at the Arlington Paint Shop there, it has now become the first Class 59 to join their ever growing fleet. Saturday 6th June 2015. (24 Photos).